All my sheathes are built to last and this sheath is no exception. 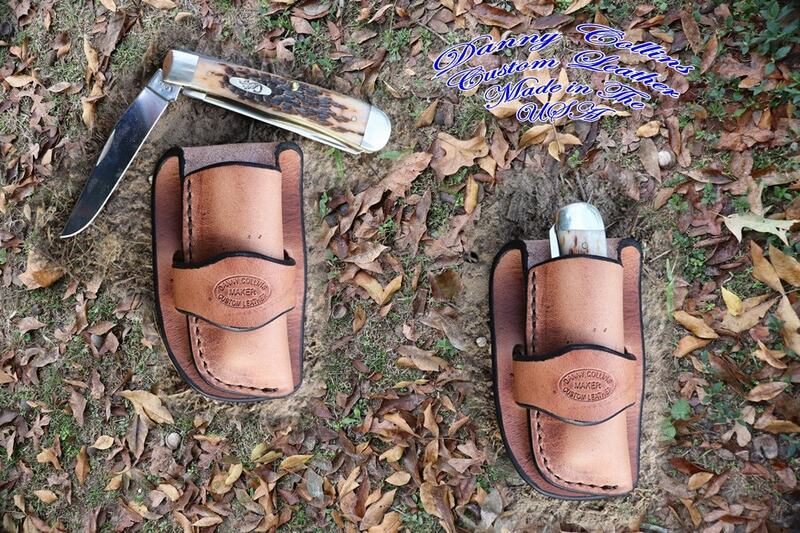 This cowboy sheath is made here at my shop in Oklahoma from the very best American made Harness leather available. Harness leather is specially tanned with oils and waxes to repel water like no other leather can. This leather can take a beating and still last for years. Sheath will fit up to a 1 ¾ belt. This sheath is available in both left and right side carry and fits the case Trapper and other similar sized folding knives. If you need a sheath built to fit another size folder, just shoot me a custom order request and I’ll be happy to build one to fit your particular knife. Case folding Hunter closed length is 5.25"